Review by AllTheBestFights.com: 2015-09-26, fight not particularly exciting between Kyoji Horiguchi and Chico Camus: it gets two stars. The black belt in karate Kyoji Horiguchi entered this fight with a mma record of 15-2-0 (67% finishing rate) and he is ranked as the No.8 flyweight in the world. He has fought twice in 2015 beating Louis Gaudinot (=Horiguchi vs Gaudinot ) but then he lost to #1 Ufc Flw champion Demetrious Johnson (=Johnson vs Horiguchi). His opponent, Chico Camus, has an official record of 14-6-0 (50% finishing rate) and he entered as the No.17 in the same weight class but he won just one out of his last three bouts, against Brad Pickett (=Pickett vs Camus); after this fight he lost to Henry Cejudo (=Cejudo vs Camus). 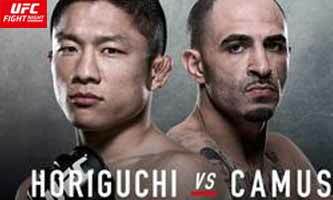 Horiguchi vs Camus is on the undercard of Josh Barnett vs Roy Nelson – UFC Fight Night 75. 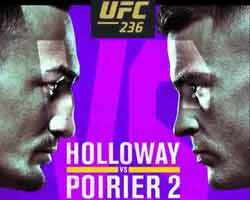 Watch the video and rate this fight!